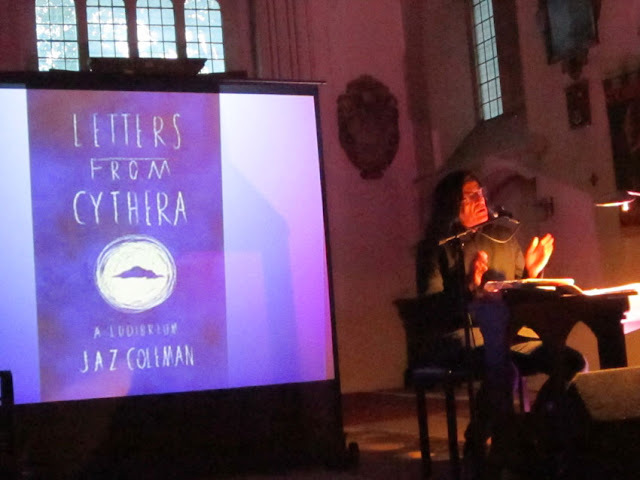 A lecture from one of Britain's finest musicians of our age that you've probably never heard of – JAZ COLEMAN. 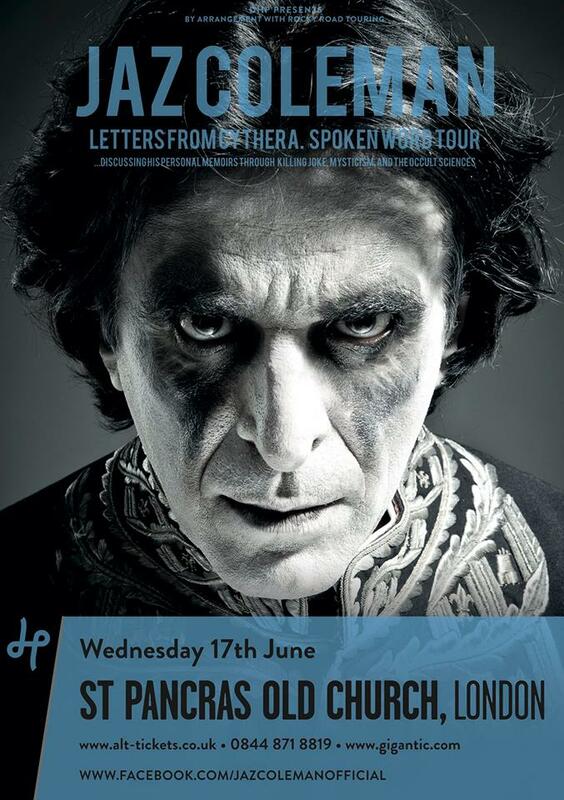 Here in London promoting his new book, LETTERS FROM CYTHERA, the man best known as the singer of underground legends KILLING JOKE, is on the first of a series of dates, which includes ten in the USA. He looked relaxed and in a jovial mood as he sat at a tiny desk, which is in stark contrast to his usual stage persona. Having attended two of his previous lectures in London in the early '90s, I knew this was going to be an awe-inspiring night. And he duly kept the packed venue spellbound with the huge range of knowledge he's acquired throughout a lifetime of music and travelling. From theories of a New World Order, 9/11, geomancy, the occult, to visiting some of the most remote and unknown spiritual places on Earth, Coleman covered a broad scope of subjects. 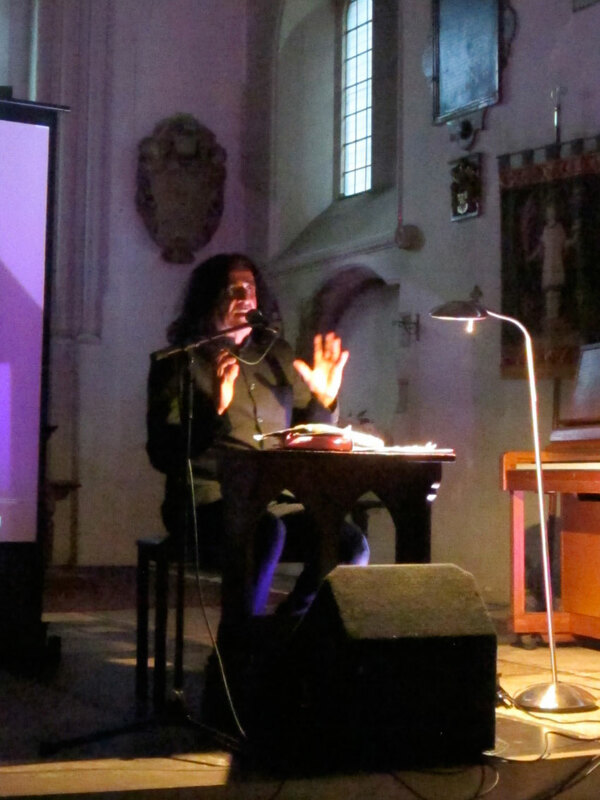 He also spoke of the esoteric and unusual beginnings of Killing Joke, through to the personal trauma and enlightenment that it has provided. Culminating in the journey that led him to move to New Zealand, where he bought a tiny island. An accomplished classical musician and composer, he also plays and performs with many of the world's best orchestras. It holds a fascinating vision of a double-life, with the fire and brimstone of his band, alongside the relatively sedate surroundings of classical music! He gives us interesting insights into this world as well. The book covers his 'Supersynthesis', the extraordinary task he set himself of creating twelve separate projects, with the aim of one final 'Magnum Opus'. Through this, his recent work has included working on a film, a book, a new Killing Joke album, recording a classical piece in St Petersburg and scoring classical renditions of Nirvana songs. After nearly three hours we left the venue with a huge energy flowing through us, feeling that we could achieve anything! 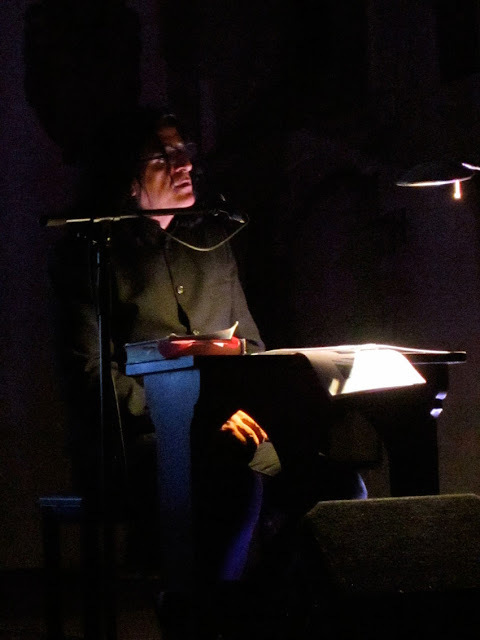 Jaz Coleman seated at his tiny desk, covered with notes and his new book full of post-its! There was a screen next to him that illustrated many of the points he was making. This is the cover of his new book. As the light faded in the dimly lit church he started to resemble The Money Changer painting by Rembrandt! 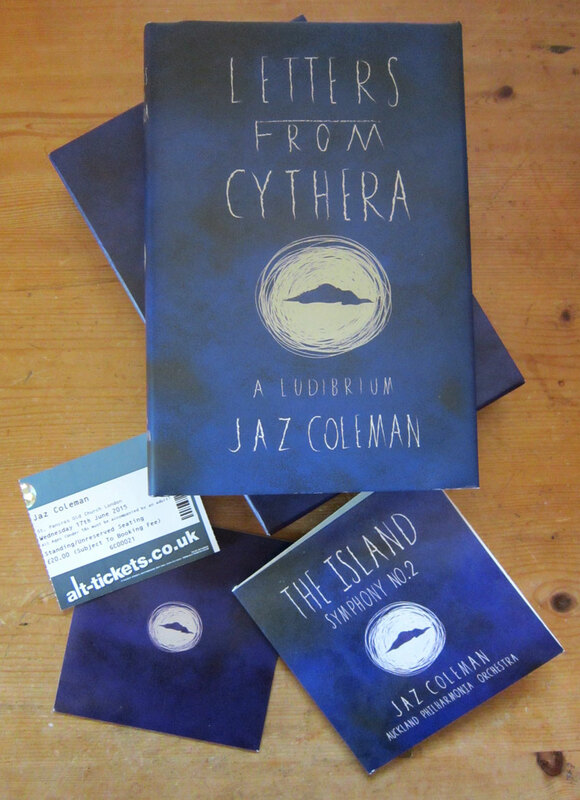 The book and the accompanying CD. 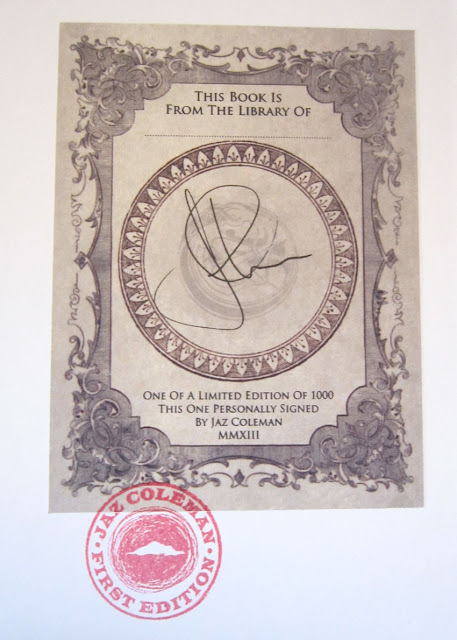 Inside my copy, which was signed as part of the Pledge scheme that got the project started. ONLY ART CAN SAVE YOUR SOUL!